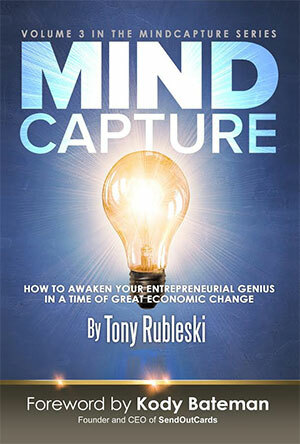 National motivational speaker and best-selling author Tony Rubleski, who lives in Coeur d'Alene, just released his newest book in his Mind Capture series, 'How to Awaken Your Entrepreneurial Genius in a Time of Great Economic Change.' Its primary goal is to help the reader think differently about adversity. You can get more information and order the book at mindcapturegroup.com/books. The 39th Annual Fall Home Idea Show will be held, Friday, October 13 through Sunday, October 15 at the Spokane Fair & Expo Center. 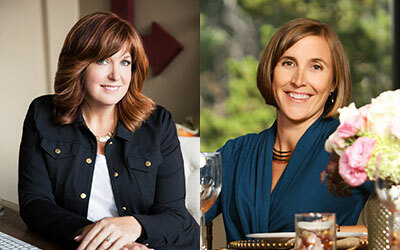 The Home Idea Show in Spokane tops off the Home Improvement season as the final major consumer home show - focusing on building, renovation, landscaping, design and decor. A few of the products and services you will find at the show are: building and remodeling contractors, kitchens, bathrooms, decorating, appliances, and windows. Back by popular demand on Friday, October 13 is the Pumpkin Carving/Painting Contest, for all ages. The carved/painted Jack O Lanterns will be on display throughout the weekend. Show attendees vote for their favorites. There are three categories: Adults (18 or older) Teens (13-17) and Pumpkin Bumpkin (12 and under). The adult winner receives an Outdoor Traeger BBQ - compliments of Fred's Appliance, the Teen category winner receives, tickets to 'Scarywood', and our youngest category, Pumpkin Bumpkin will win, two tickets to Disney On Ice. Tuesday, October 24 is a celebration of the new home of Hara Alison's STUDIO H Creative and Jennifer Evans Encore Events, also known as the Mad Women. The Open House, actually two open houses, will be at Suite 511 in the Paulsen Center, 8-10am for mimosas and bloody Mary's and 4-7pm for craft cocktails and a reception. Go to Mad Women Open House on facebook for all the details and to RSVP. State Bank Northwest has announced the promotion of Jeff McKee to the position of Senior Vice President/Commercial Loan Team Leader at the Spokane Valley headquartered bank. 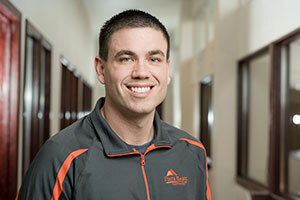 Jeff joined State Bank in 2012 and has 13 years of commercial lending experience. The HUB Sports Center, a nonprofit, community-based, sports facility, held its 4th annual All-Star Breakfast fundraiser on September 28 and 10 Year Anniversary Celebration on September 29. The breakfast was attended by 397 business, government, education and community leaders at the Mirabeau Park Hotel. Attendees donated $65,570 toward the HUB's capital campaign and outreach programs. Evolve Fitness, a new Spokane Valley personal training studio, has leased 1,700 square feet of space in a multi-tenant building at 5615 East Trent. They offer Semi Private Group Training as well as 45 minute high intensity interval training in a small, personalized setting. Check them out on facebook at Evolve Fitness. Summit Cancer Centers has announced the addition of their latest Medical Oncologist, Dr. Steven Rosinski, who is board certified in Oncology, Hematology and Internal Medicine. Dr. Rosinski obtained his MD and PhD from the University of Colorado. He completed his internship at Emory University, and his Internal Medicine residency at the University of Washington. In 2011, he completed his Oncology and Hematology fellowship at the University of Washington and its affiliate, Seattle Cancer Care Alliance. He has completed a number of lab-based and clinical research projects in hematology and oncology at the Fred Hutchinson Cancer Research Center. After fellowship, he spent several years as an attending physician on the Bone Marrow Transplant Unit at the University of Washington. He treats all types of cancers with additional expertise in benign and malignant hematology, including leukemia and lymphoma. Dr. Rosinski has also authored multiple first-author publications in oncology research. For more information about Summit Cancer Centers, visit www.summitcancercenters.com. Bloem.Chocolates.Flowers.Paperie will be hitting the streets of Spokane on Wednesday, October 11, handing out hundreds of flowers to the downtown community and surrounding areas to help brighten up their week, as part of the 'Petal it Forward' program, in partnership with the Society of American Florists (SAF), of which Bloem.Chocolates.Flowers.Paperie is a member. Bloem is joining more than 200 florists across the country in 'Petal it Forward.' This random acts of kindness effort is in response to the release of data by SAF showing the positive emotional benefits of flowers. University research reveals that flowers have an immediate impact on happiness and a long term positive effect on moods. A new survey has found that when it comes to flowers, it's just as good to give as it is to receive. Johanna Julyan, owner of Bloem's, and the Petal it Forward Team will give away 600 bouquets to people on the street. After receiving their flowers, recipients are asked to spread the happiness by gifting their extra flower bouquet (or flower), and sharing their happiness on social media using #PetalItForward. The University District is seeking applicants for four directors who will serve on two boards for the University District Development Association and the University District Public Development Authority. All open positions carry three-year terms that start Jan. 1, 2018. Application deadline is this Friday, October 13 at 9am. For more information, go to spokaneudisrict.org. Spokane SCORE Chapter 180 presents this week's workshop, 'How to Write a Business Plan' to be held this Wednesday, October 11 from 8:30am-12:30pm, at the SBA Training Room, 801 W Riverside, Suite 444. Discover why successful businesses operate with a plan. Learn how to write a comprehensive business plan, and get assistance from a SCORE mentor to review and help refine your plan. For more information, and to register, visit www.scorespokane.org. "Nothing is permanent in this world, not even our troubles."